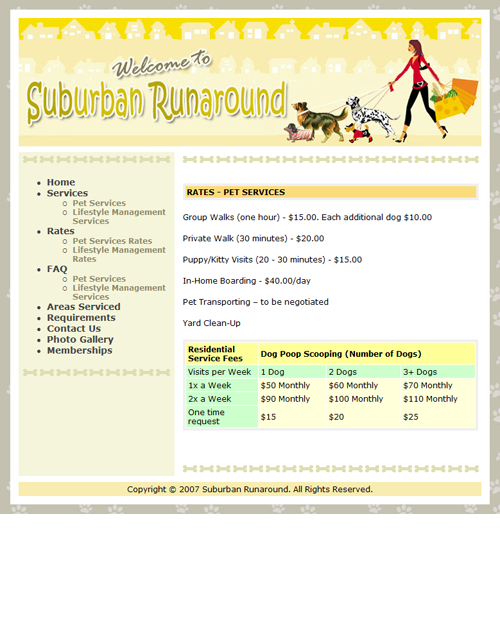 Developing and designing graphics and website. 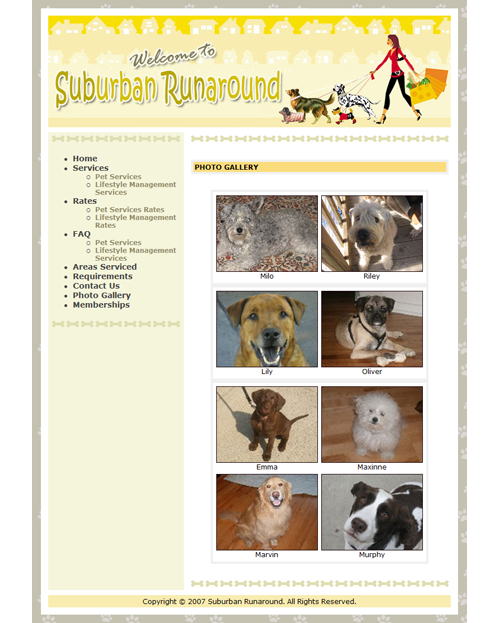 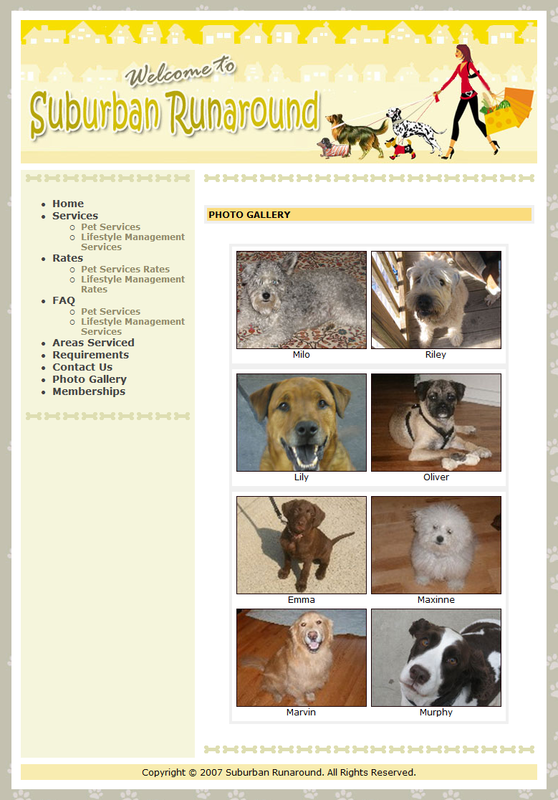 Established in 2003, Suburban Runaround originally started to meet the needs of pet owners. 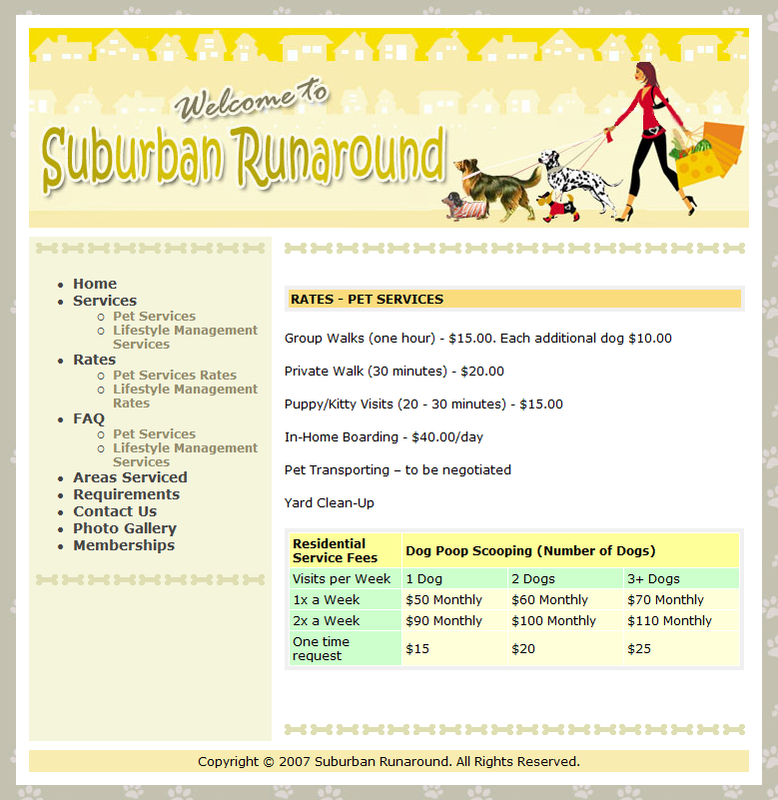 Due to requests from their busy clients, Suburban Runaround now offers a variety of services for not only pet owners, but also for busy professionals and families. 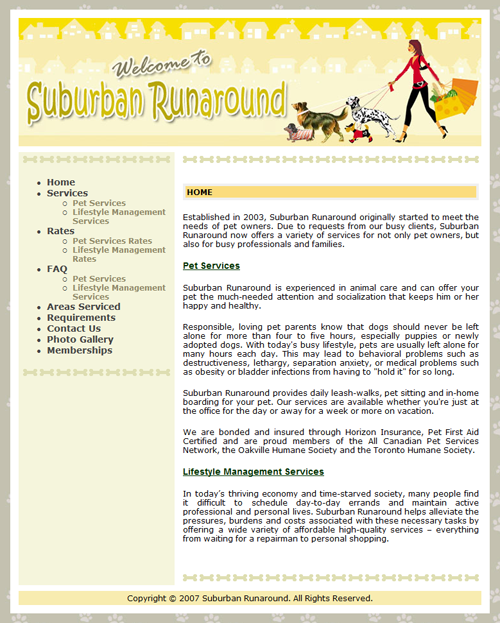 Suburban Runaround are bonded and insured through Horizon Insurance, Pet First Aid Certified and are proud members of the All Canadian Pet Services Network, the Oakville Humane Society and the Toronto Humane Society.